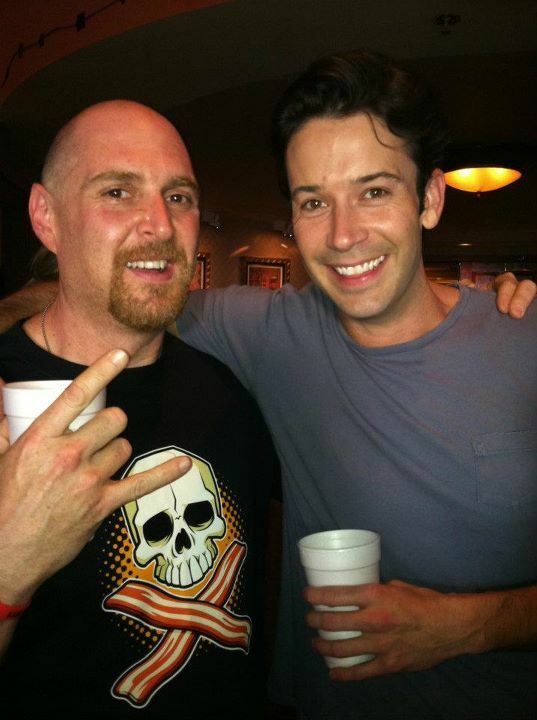 Adam from Big Brother 13 in a Skulls & Bacon t-shirt! So just to follow up, if you haven't followed Big Brother Season 13 this summer...My friend Adam made it to the final three but Rachel ended up winning. Still, he did really awesome and I think it's great that he got to live one of his dreams. 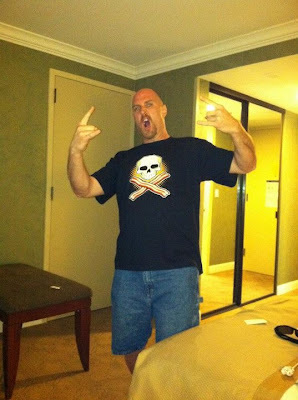 The Skulls and Bacon t-shirt that was supposed to be in his gift basket when he won the HOH competion wasn't included so he didn't get it until the show was over. However, he was rockin' the Skulls And Bacon tee at the afterparty in Vegas, baby! And what will he miss the most about the Big Brother house? 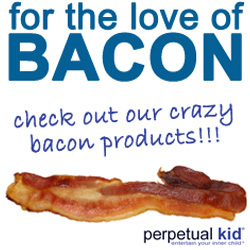 "The unlimited supply of bacon," he answered without a moment of hesitation. "Not one week did we ever run out of bacon. 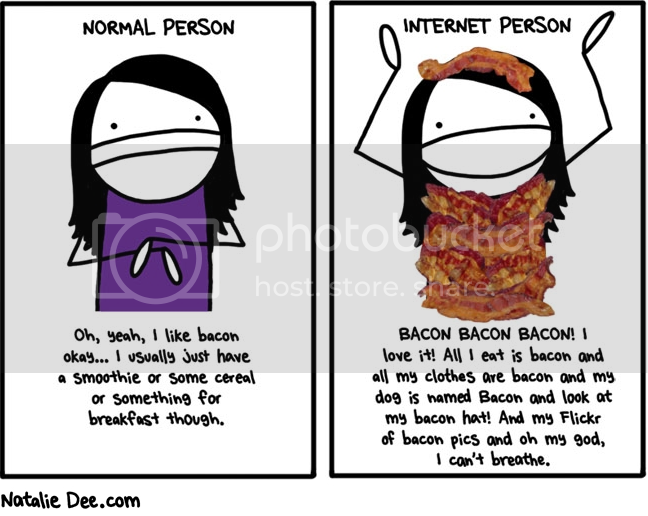 Now, when I want bacon, I can't go to the storage room and just pull out another package. I'm going to have to go to the store and buy it." Thanks for keeping me company on TV and the live feeds all summer, Adam! I hope your transition back into the world is filled with bacon and much love. 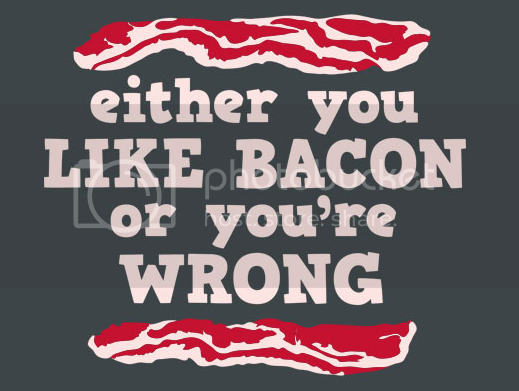 *See previous posts on Adam/Big Brother/Bacon t-shirts here. 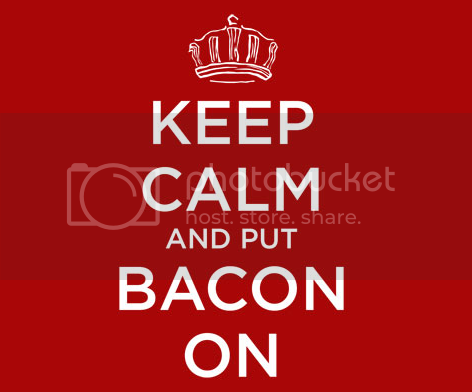 Ok, so I was on vacation and missed posting on International Bacon Day. On the plus side, I was in Atlantic City at the buffet with unlimited bacon, so I win. And if you're watching Big Brother, my friend Adam is still in the house. Tune in tonight, I've heard a rumor that he may win HOH and if he does he just might get a fabulous Skulls and Bacon shirt in his gift basket!